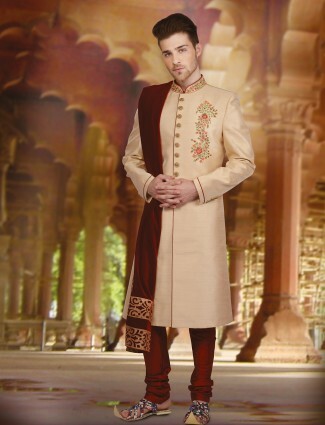 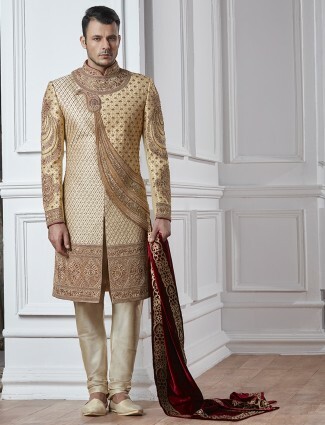 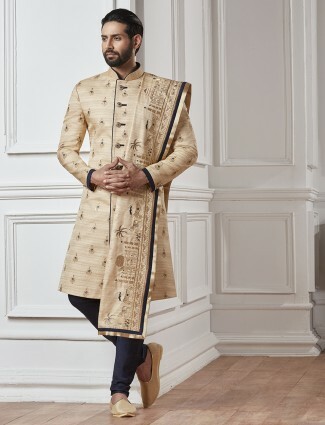 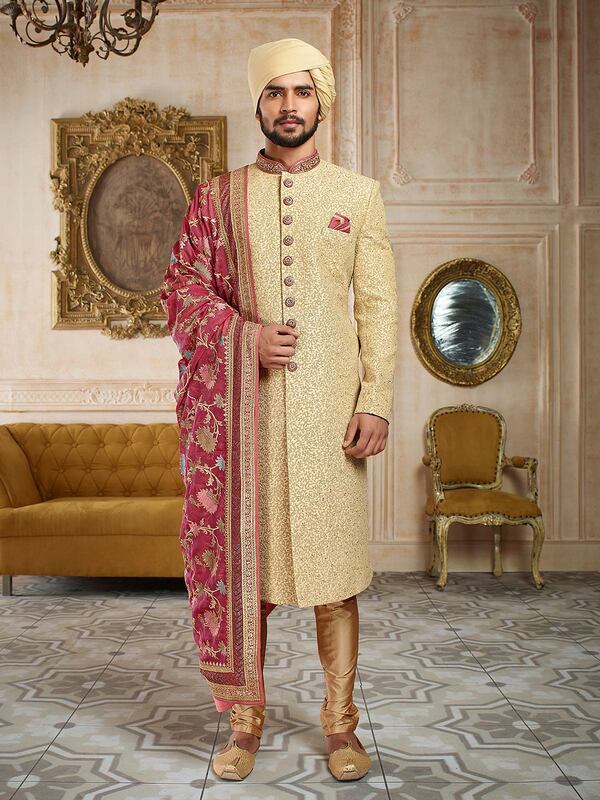 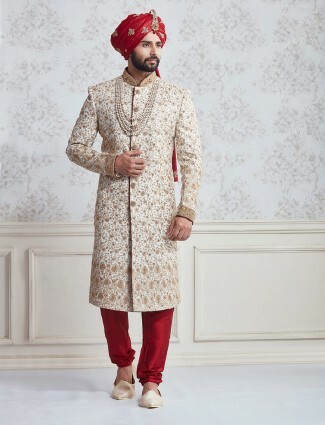 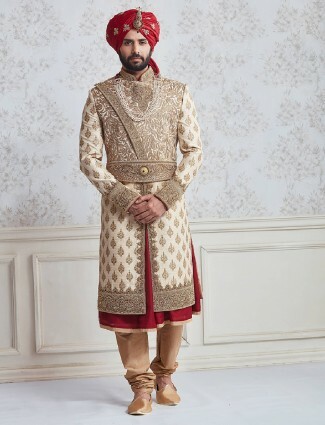 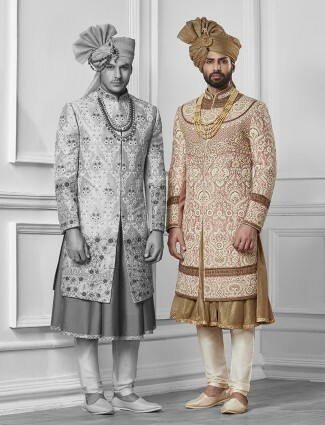 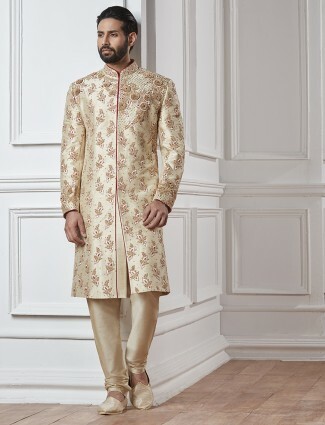 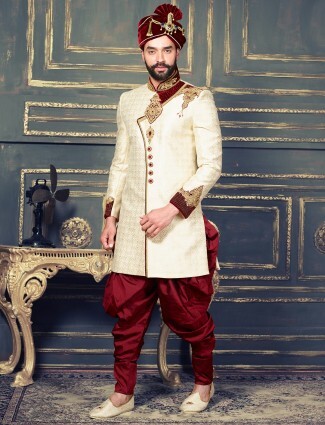 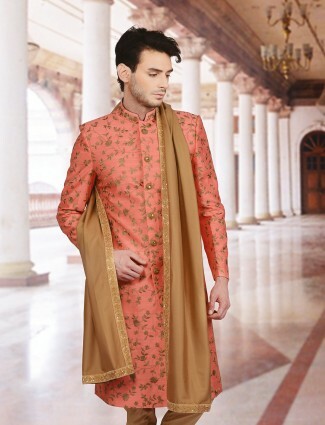 Change your ethnic collection with this cream raw silk sherwani for groom. 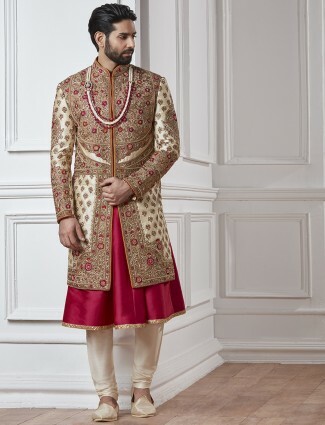 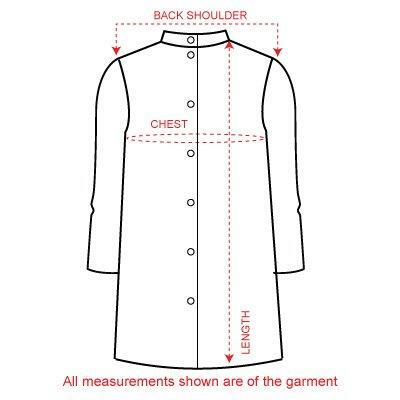 Embellished with thread,emboidery work at over all, stand collar, full sleeves. 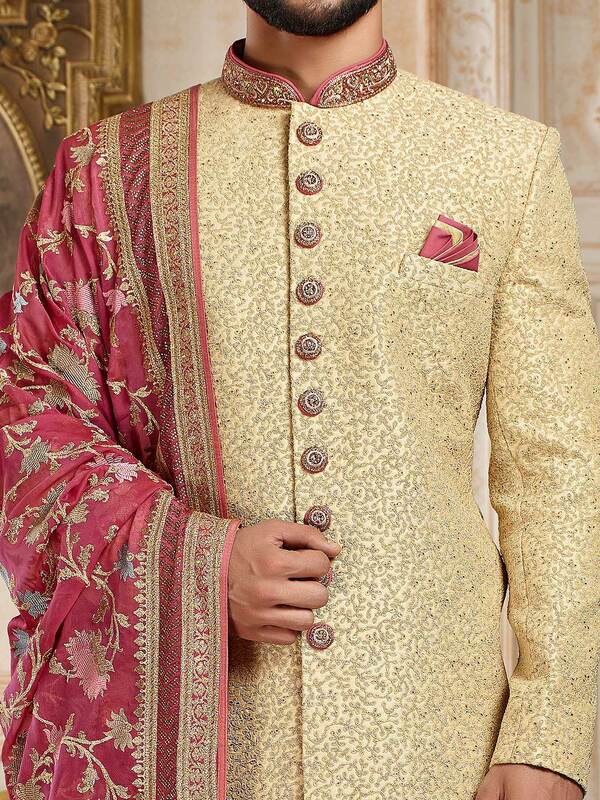 Comes with churidar and resham work dupatta.